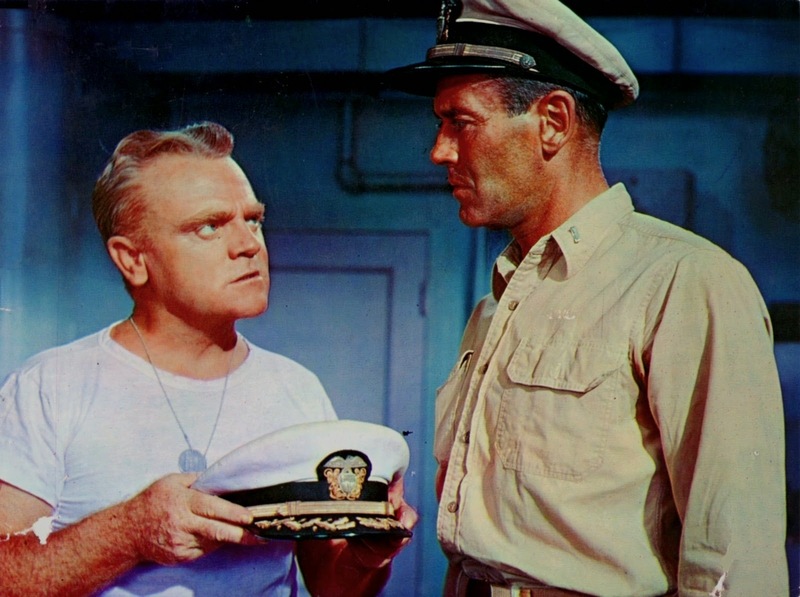 A World War Two multi-character drama set on a cargo ship in the Pacific, Mister Roberts features a dream cast in fine form debating man's destiny and military discipline. But the film can't quite shake its more hokey elements and the confining stage origins. With World War Two coming to its conclusion, the US cargo ship Reluctant is on duty somewhere in the Pacific, keeping the rear lines supplied under the baking sun and very far away from any combat operations. Lieutenant Doug Roberts (Henry Fonda) is the executive officer, has the respect of the men, and shields them from the dictatorial antics of Captain Morton (James Cagney). 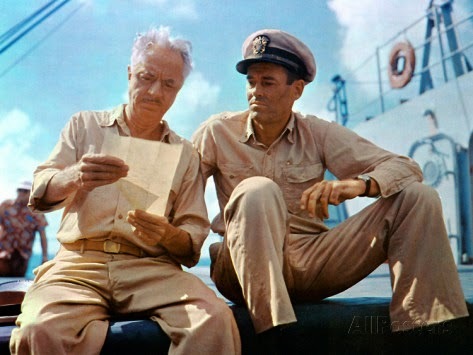 Also on board is the world-weary "Doc" (William Powell) and the young Ensign Pulver (Jack Lemmon). The latter is in charge of "laundry and morale", but is trying to ride out the war while doing exactly nothing. Roberts is desperate to be involved in combat missions before the war ends, and repeatedly requests reassignment to the front lines. Morton knows that Roberts is essential to the successful functioning of Reluctant, and refuses to endorse Roberts' applications. With Morton pushing the crew ever harder, Roberts has an opportunity to relieve the mounting pressure on his men, but at the cost of his own principles and desires. 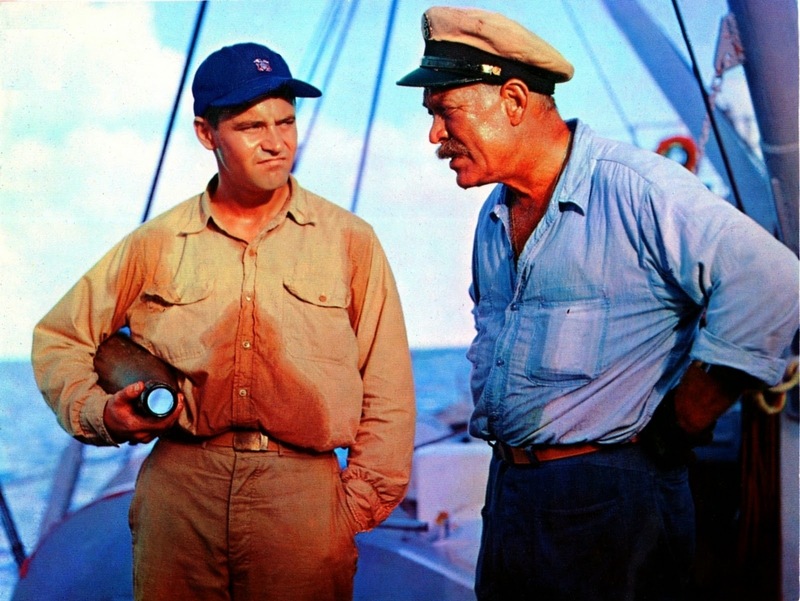 Through a combination of round-edged drama and mild humour, Mister Roberts celebrates the men who missed the business end of the war and yet contributed the unglamorous work that ensured success. It's a rare perspective, with a focus on friction, camaraderie, restlessness and boredom among men stationed far from home and far from the action, suffering through all the drawbacks without any opportunities to confront the enemy. The film is dominated by the talent of a fine cast, and the performances overcome a somewhat creaky script weighed down by the story's theatrical roots. Despite Fonda, Cagney and Powell (in his last film role) all being too old for their roles, they deploy the full depth of their talent to give the film a distinguished air. The younger Lemmon mugs his way towards an Academy Award as the officer who moves from the fringes of trouble towards the eye of the storm, in what would prove to be a template for his career persona. A troubled production featured director John Ford sparring with Fonda, an altercation that eventually led to a physical tussle. Ironically, it was Ford who had insisted on Fonda reprising his Broadway role as Roberts, despite Warner Bros. worries that he was too old. Fonda had also spent seven years away from the movies, and the studio was concerned that his screen appeal was dimming. Ford's ill health eventually forced him to quit the project; Mervyn Leroy and an uncredited Joshua Logan (director of the stage production) finally tidied up the project with plenty of reshoots. Almost the entire film takes place on the Reluctant, and creating two hours of war drama with no enemies in sight and no shots fired unsurprisingly proves to be a stretch. In between the unfolding tension between Roberts and Morton, there are long-winded filler scenes about sailors ogling on-shore nurses; nurses coming on board the ship for no defined purpose; and the manufacturing of a cheap whiskey-like concoction from an assortment of chemicals. Ensign Pulver gets to play with a large home-made firecracker, and eventually manages to flood the boat with soap suds, in a sequence better suited to broad vaudevillian farce. Apart from making the point about the soul-crushing boredom of service in the war's deep background, these scenes add little to the film's central narrative while consuming plenty of trite minutes. The story that does matter is a battle of wills, effectively delivered: the principled Roberts thinks that the war of his life is passing him by; the tyrannical dufus Morton considers captaining the Reluctant to be the pinnacle of his career and needs Roberts to stick around since he holds the men together; and the playful Pulver, the one character with something resembling an arc, is the clever but carefree officer who will grow into his responsibilities. The script by Logan and Frank S. Nugent settles for a tone of light drama with occasional dips into more serious territory. But on the small boat there is not much room for nuance: when the central conflict between Roberts and Morton spills into the open, it's all conveyed in the black and white of selfish villainy and sacrificial heroism, the emotions setting sail into simplistic waters. Mister Roberts may not venture into complex waters, but it does just fine moored off the shore, contemplating different layers of ambition.